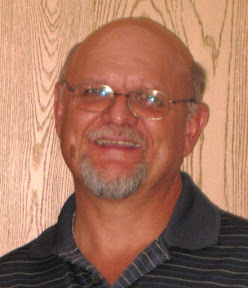 Tampico - Terry R. Drilling, age 56, of Tampico, Illinois died suddenly Tuesday, December 8, 2009 in Sterling, Illinois. He was born on February 9, 1953 in Paxton, Illinois the son of Roy E. and Jean M. (Wagner) Drilling. Terry was united in marriage on October 19, 1974 to Toni M. Neyrinck in Erie, Illinois. He was a member of St. Mary’s Catholic Church in Tampico, and active in the American Cancer Society Relay for Life. Terry was an avid Illini fan and enjoyed collecting Mickey Mouse memorabilia. Terry is survived by his wife Toni; three daughters Tammy (Shane) Hannah of Collinsville, Illinois, Tiffany (Adam) Hulbert of Arlington, Texas, Tobi Drilling of Tampico; two grandchildren Adrianne Vongphakdy and Ian Hulbert both of Arlington, Texas; his mother Jean Drilling of Buckley, Illinois; father Roy (Patricia) Drilling of Woodland, California; three step sisters Debra Weber, Linda (Juan) Jimenez both of Woodland, California, and Sheryl (David) Beeson of San Jacinto, California; and numerous nieces and nephews. Mass of Christian burial will be held on Saturday at 10 a.m. at St. Mary’s Catholic Church of Tampico with Msg. Thomas Dzielak officiating. Burial will be in St. Mary’s Catholic Cemetery. Visitation will be held on Friday from 3 to 7 p.m. at Garland Funeral Home in Tampico, Illinois with a prayer service at 6:30. Memorials have been established in his memory to the American Cancer Society and St. Mary’s Catholic Church in Tampico. Visitation will be held on Friday from 3 to 7 p.m. at Garland Funeral Home in Tampico, Illinois with a prayer service at 6:30 p.m.
Mass of Christian burial will be held on Saturday at 10 a.m. at St. Mary’s Catholic Church of Tampico with Msg. Thomas Dzielak officiating.